Looking for the ultimate scary clown costume but want some flexibility for your next costume? 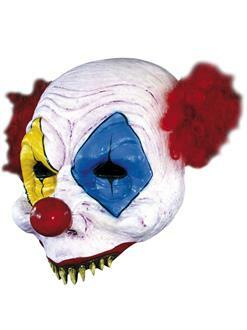 Our Open Gus Clown mask is perfect for the clown on the run; we can’t be in costume all the time. So keep your next party flexible and spooky with this half mask that’ll give you the terrifying look you’ve been searching all year for with no makeup or hassle that will make your running off to your next party a breeze. Featuring a high-quality design that will complement the most elaborate or simple design, we believe that this exceptional mask is only lacking you to fill it out!